Hardcover, 9.5 x 12.75 in. / 204 pgs / 100 color. Edited by Barbara Steiner, Leon Janucek. Wolves, owls, falcons, alligators and horses are the subject of German sculptor Dieter Finke's work, collected here. 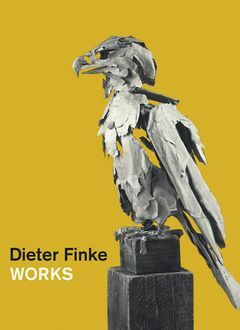 Much reduced in form, Finke's delicate bronzes, cast from unusual materials like wood or cardboard, convey inherent drama and expressiveness, perhaps alluding to the brittle nature of relations between man and animal. FORMAT: Hbk, 9.5 x 12.75 in. / 204 pgs / 100 color.